Edesigns provides one stop software products and business application development and support services to small and mid size organisations, worldwide. 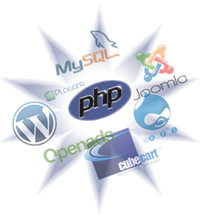 We are the leader in offering fully integrated software design, development, testing and technical support solutions. We combine the strengths of both local and offshore software development to deliver cost efficiency and productivity gains for your organisation. We guarantee significant cost savings to you. Predictability: Our customers come out on top! Codea's production services combined with a commitment to a fixed-price quote and production estimation ensures total quality with added value in our custom software solutions. Process visibility: By outsourcing your software and application development processes with Codea; we maintain a transparent and controllable visibility at all phases of the project.